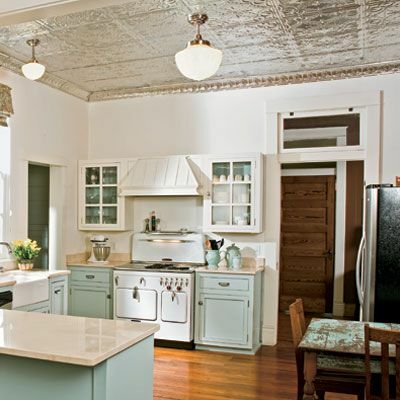 Ornate tin ceiling tiles … Helloooo gorgeous! 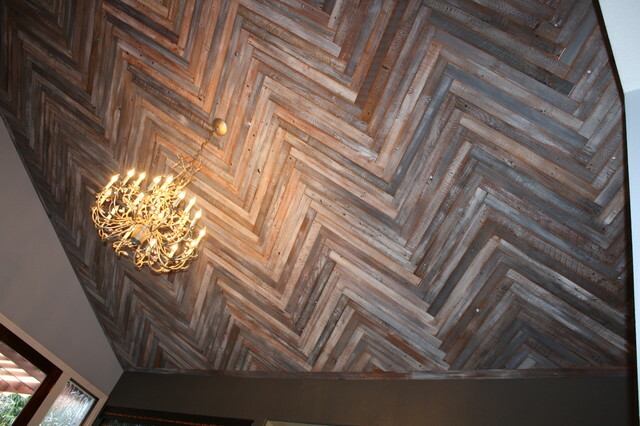 This beautiful herringbone design ceiling takes my breath away. 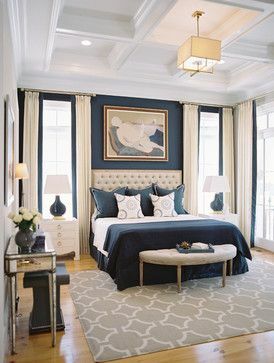 The mixture of tones in the wood and that beautiful pendant light are absolutely gorgeous! 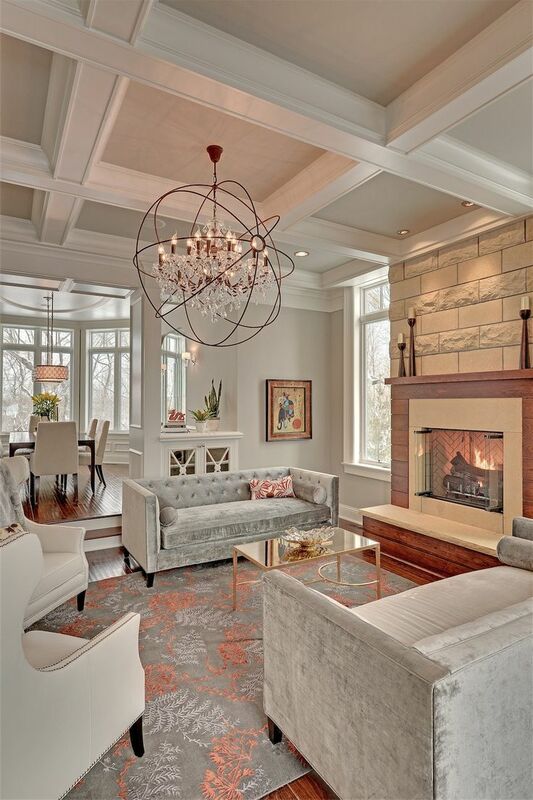 I love the grandeur that a Coffered ceiling brings to a space. One day I will have one in my dining room.